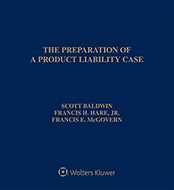 A coke oven constructed in a steel plant was not a "product" for purposes of product liability claims brought against the oven manufacturer on behalf of a man who allegedly had died due to his exposure to asbestos and coke oven emissions while employed at the plant, a New York appellate panel instructed, reversing a state trial court’s contrary conclusion and denial of summary judgment favoring the oven maker. Citing prior case law defining coke oven batteries as real property and noting their complex and lengthy construction processes, the appeals court concluded that the contract between the oven maker and the steel plant was one for services rather than for the sale of a product (Terwilliger v. Beazer East, Inc. , May 5, 2017, per curiam). An individual who apparently had been exposed to asbestos and coke oven emissions while employed at a steel fabrication plant died as a result of illness allegedly caused by exposure to those substances. His estate filed a products liability and negligence suit against several entities, among which was Honeywell International, Inc.—the successor-in-interest to the coke ovens’ original manufacturer, Wilputte Coke Oven Division of Allied Chemical Corporation. Honeywell moved for summary judgment seeking dismissal of the complaint on the basis that the coke ovens at issue were not "products" for the purposes of the plaintiff’s product liability theories, and that the oven manufacturer’s contract with the steel company had been predominantly for services and not for the sale of a product placed into the stream of commerce. In denying the summary-judgment motion, the trial court rejected Honeywell’s contentions, concluding that the coke ovens were "products" subject to products liability theories and that the transaction between the oven manufacturer and the steel company was "more like the sale of goods than a contract for services." Honeywell appealed the trial court’s decision. Product or service? In discussing the nature of coke oven batteries, relevant case precedent concluded that by common-law standards, such structures would be deemed real property. This conclusion was compelled by the structures’ magnitude, their mode of physical annexation to the land, and the obvious intention of the owner that such annexation be permanent. Using one coke oven battery as an example, Honeywell’s submissions established that the construction was a multistage process that took place over approximately 18 months and required approximately 1,460,000 hours of labor to complete over six phases as follows: Phase One involved, among other things, the construction of the foundation and oven deck slab; Phase Two was the brick and structural work phase; Phase Three involved plumbers, steam fitters, and electricians; Phase Four involved the installation of heating, ventilation, and air conditioning systems; Phase Five involved installation of the quench, charging, and pusher tracks; and Phase Six involved the construction of offices, a control room, bathrooms, and a locker room. In light of the abovementioned efforts, service predominated the transaction and the parties’ contract was one for the rendition of services—i.e., a work, labor, and materials contract, rather than a contract for the sale of a product. As such, a coke oven installed as part of the construction of a great complex of masonry structures at the steel plant and permanently affixed to the real property within a coke oven battery, did not constitute a "product" for purposes of the products liability causes of action brought by the deceased worker’s estate. Consequently, the trial court’s denial of summary judgment favoring Honeywell was reversed, the motion was granted, and the underlying complaint against the company was dismissed. The case is No. 85 CA 16-00947. Attorneys: Dennis P. Harlow (Lipsitz & Ponterio, LLC) for Donald J. Terwilliger. A. Vincent Buzard (Harris Beach PLLC) for Beazer East, Inc. and Honeywell International, Inc.
Companies: Beazer East, Inc., fka Koppers Co. Inc.; Honeywell International, Inc.